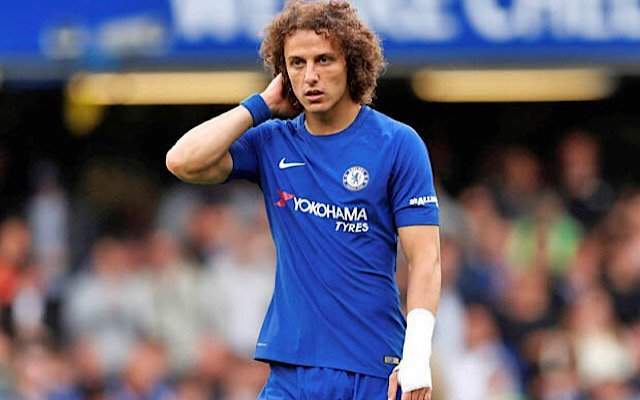 Chelsea boss, Maurizio Sarri has revealed why defender, David Luiz dodged out of the way of Harry Kane's strike in Chelsea's 3-1 defeat to Tottenham. Sarri said Luiz did not want to deflect the ball. The Blues suffered their first defeat of the season as Mauricio Pochettino's men got a deserved 3-1 winners at Wembley. Dele Alli put Spurs ahead after just eight minutes before Kane doubled the hosts' lead. Kane's strike was from a long-range but instead of attempting to block the effort, Luiz quickly moved out of the ball's path. The Brazilian has received blames from supporters and pundits for the act. But when asked about the goal, Sarri said, "I don't know, maybe the goalkeeper didn't see the ball. "I think that David was afraid to touch the ball and change the direction of the ball. "But we were passive in all the match, and so it was only a question of minutes."